Developer: Thatgamecompany Platform: Playstation 3, Playstation 4 Release: 2012 One of the most unique experiences you can have on a console, Journey offers an adventure like no other. The game is all about journeying to a distant mountain by jumping, floating and avoiding the occasional danger. The game really comes into its own online, where you'll come across a fellow traveller. There's no way of directly communicating beyond movement and chime sounds, but the game makes you feel a true connection with your anonymous friend. 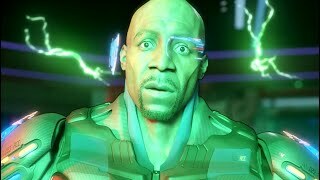 In particular, the game's final quarter is truly effecting, as you both struggle through a blizzard, constantly attempting to prevent the other from freezing to death. 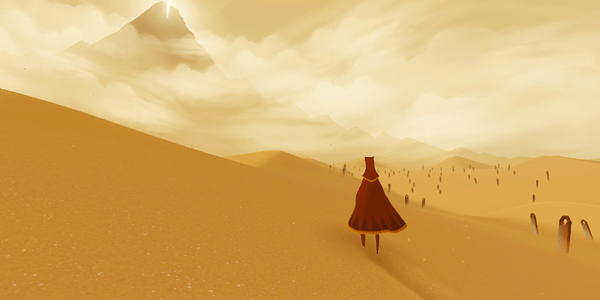 An amazingly intimate multiplayer experience, Journey is a game that you'll remember forever.